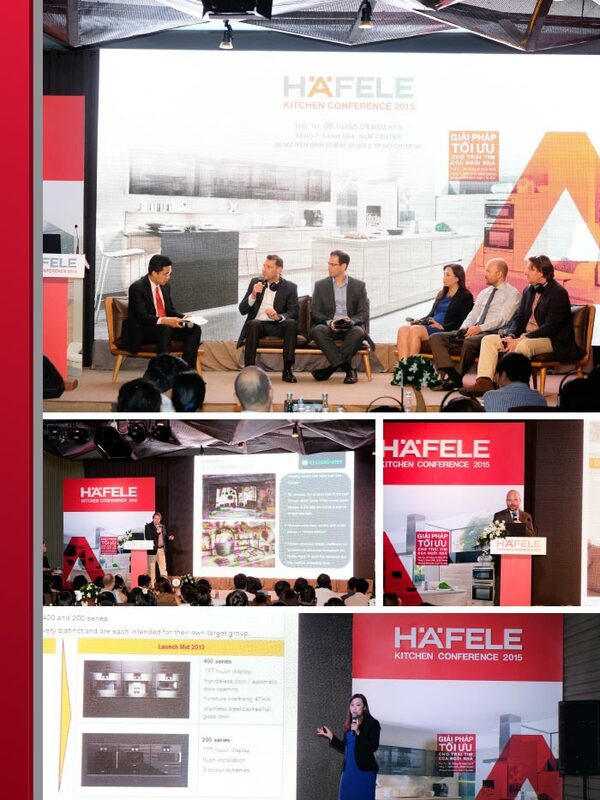 On 8th April, Häfele Vietnam held its first ever "Häfele Kitchen Conference 2015 - Complete Solutions for the Heart of Homes" in Ho Chi Minh City. The conference was attended by invitation only from architects, interior designers, kitchen manufacturers and developers to learn about the latest trends and designs for kitchen solutions. During the conference, Häfele introduced its complete solutions - from both planning to installation. Industry experts and Häfele’s strategic partners like Kesseböhmer, Blum and Gaggenau also share their thoughts and outlook for the kitchen trends in 2015. The importance of light by Loox LED lighting system, an energy-efficient product by Häfele was also highlighted in one of the speakers’ topics.